Help The Little Zoo That Grew! If you haven't heard about Build Your Zoo yet, then you are definitely in the right place! 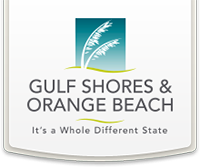 This is where you can learn about the construction of the new Alabama Gulf Coast Zoo currently underway and how you can participate with us in this exciting and vital community project. In mid-September of 2004, the Alabama Gulf Coast Zoo made history as the first US zoo to execute a full-scale, off-site evacuation of its animals during a natural disaster. 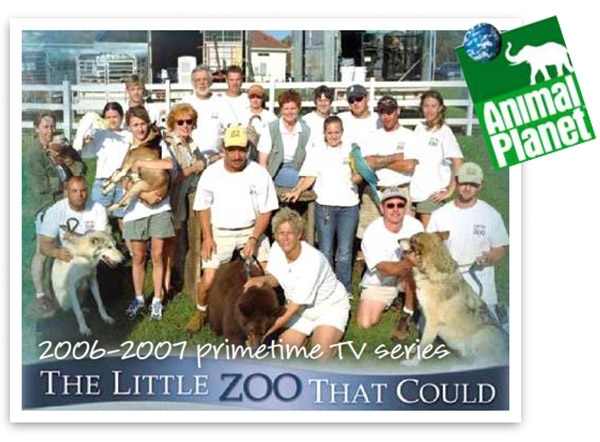 Our beloved zoo was completely destroyed by Hurricane Ivan, but our survival and comeback story landed us in the news all over the world and culminated in a 13-part Animal Planet documentary series called The Little Zoo That Could. Through the dedication of Zoo Director Patti Hall, her fearless staff, and an unwavering commitment from our local communities, this long journey to finally relocate the zoo to a new, modern hurricane-safe facility will be completed in the near future. But until moving day comes, we still sit perilously vulnerable to another hurricane strike and potential destruction. 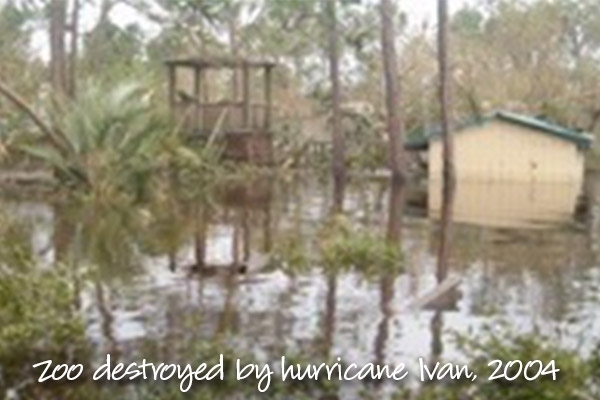 Since Hurricane Ivan, we have endured Dennis, Katrina, Nate, near-misses from other area hurricanes and countless tropical storms that have battered our little zoo. The clock is always ticking. Our sense of urgency has never been greater as the odds shift against us the longer we must wait to move into our new safe and sound home. 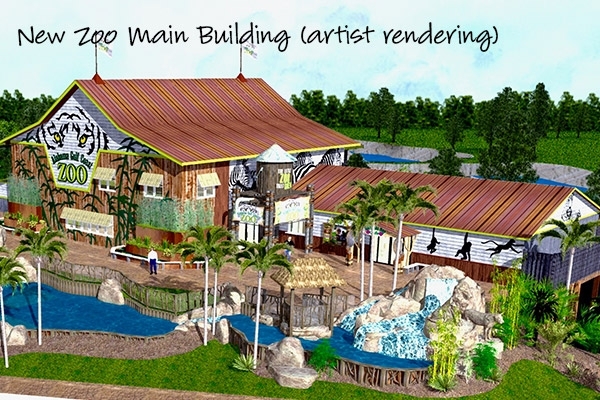 The new Alabama Gulf Coast Zoo will be the first US zoo to be built from the ground up in over 20 years. This modern entertainment and educational wildlife park will be spread out over 25 acres, just four miles north from the current zoo. It will have something for everyone, from hands-on educational animal encounters and our awe-inspiring Tiger Splash habitat to a skylift tour across the zoo and a safari jeep ride through the Aussie Outback. We’ll also offer amazing gourmet cuisine, everyday comfort fare and delectable finger foods to appeal to all tastebuds. And shopping for items from around the globe will be its own adventure. 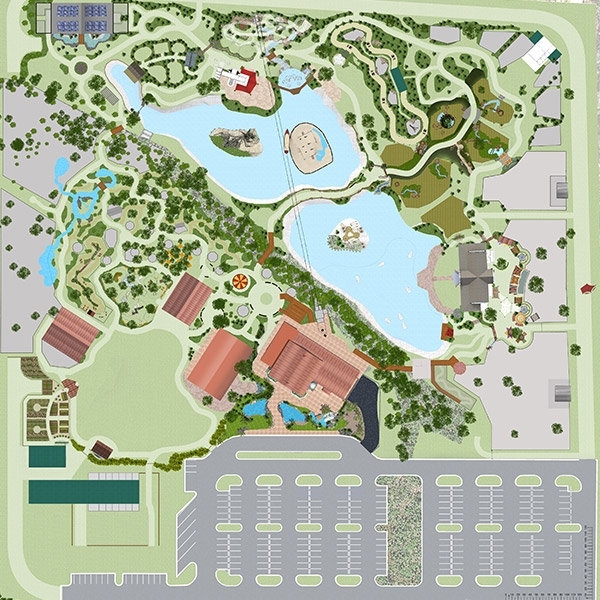 The Master Plan includes: size and location maps, area tourism statistics, descriptions and graphic illustrations of the new zoo design, zoo features, services and amenities. 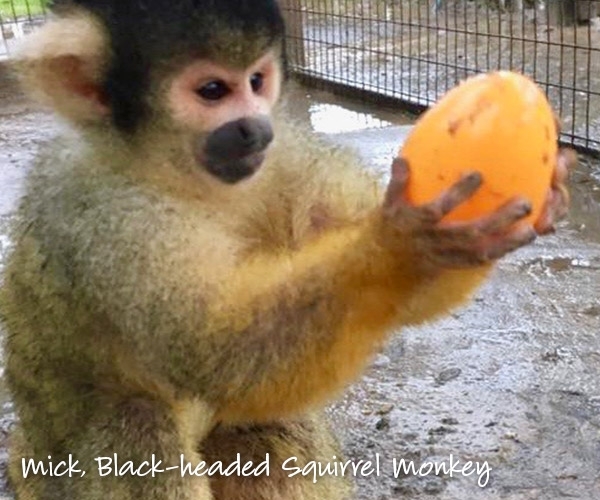 Above all else, a brand new zoo will provide a much more spacious, protected and enriching environment for our beloved animals - all 600 of them…and hopefully many more over the coming years. In the meantime, visitors can still enjoy our animals at the current zoo while the hammering and nailing continues four miles north. But here’s where we call upon YOU. 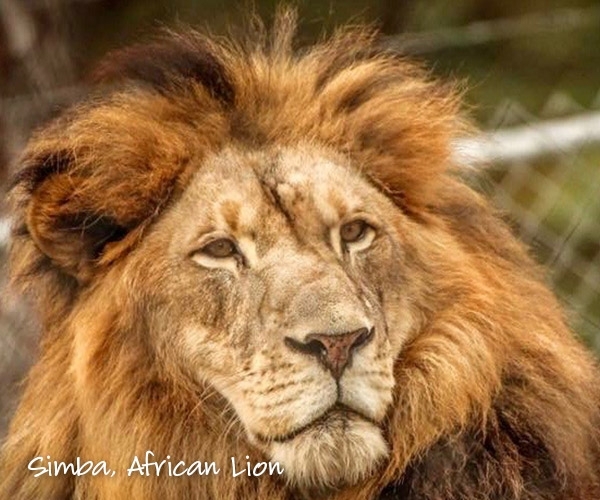 Building a new, non-profit zoo is an expensive endeavor, and operating it far into the future requires ongoing funding. With the help of supporters, fans, community members, businesses and organizations, the sooner we can move our animal family off the barrier island out of hurricane danger, the safer they will be. There are many ways you can contribute in helping us reach Opening Day (and beyond) through the Build Your Zoo capital campaign!